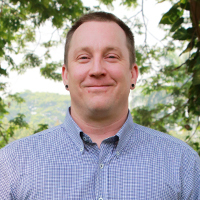 Mike is a qualified Therapist who has been accredited by the Canadian Professional Counsellors Association (RPC) and by the Asia Pacific Certification Board (CSAT III) and is a member of the EMDR Association of Hong Kong . He has worked in the addictions field for 15 years, including 10 years in Canada prior to joining The Cabin team in 2013. Mike has extensive experience in both residential and outpatient treatment, as well as in performing interventions and delivering substance abuse education to addicted individuals and their families. He was also a Medical Monitor for major corporations and their insurers, where he worked alongside addiction medicine and occupational health specialists to ensure that substance-dependent individuals maintained their recovery while returning to their careers. In his capacity as an educator Mike worked for the British Columbia College of Physicians and Surgeons, training physicians and other medical professionals on appropriate management of Methadone programmes.